Gorgeous, Eye Catching, Coffee Table Worthy! 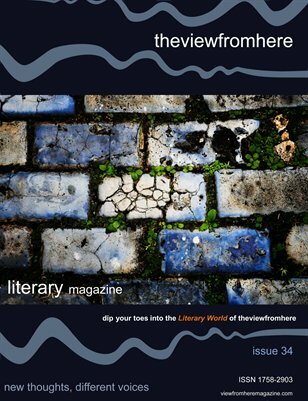 The View From Here - The Best of the Best in the new and emerging literary scene! Interviews with Brunonia Barry and the literary consultancy, Bubblecow. Guest article from Wayne Burrows, editor of Staple Magazine. Original Fiction: Mark Gartside and L.E. Butler. Original Poetry: Dave Early, N. A’Yara Stein & Alessio Zanelli. Article by Shanta Everington on literary consultancies and Jane Turley on reviewing the classics. Book Reviews: Only Joking by Gabriel Josipovici, Jamrach’s Menagerie by Carol Birch and The Last Werewolf by Glen Duncan.